Tree grilles have an important role to play in maintaining healthy tree pit conditions. 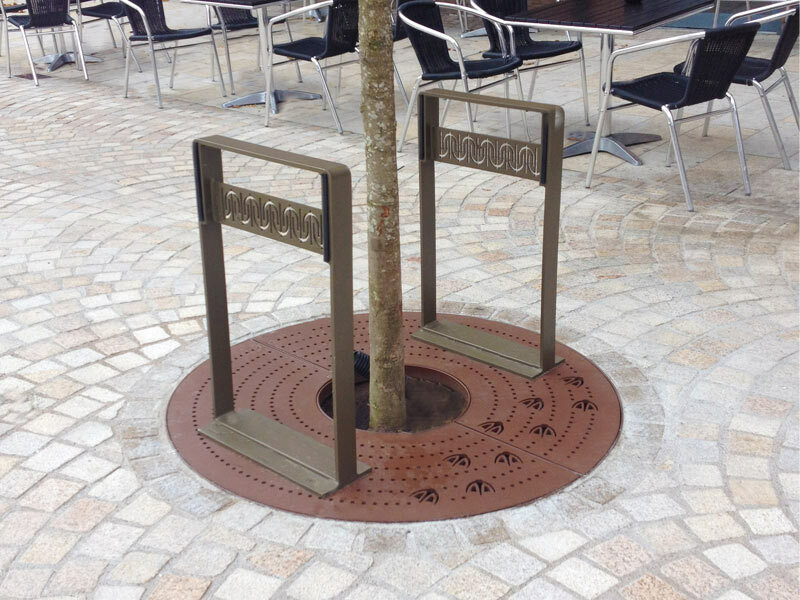 Engineered using mild steel or stainless steel to offer the highest level of tree protection, these robust tree grilles are able to withstand heavy footfall whilst preventing access to the roots and trunk. Available in a wide range of shapes and sizes to suit your specifications, each tree grille is built to complement the surrounding landscape. The grilles pictured were designed in collaboration with the landscape acrhitects, Planit-IE. 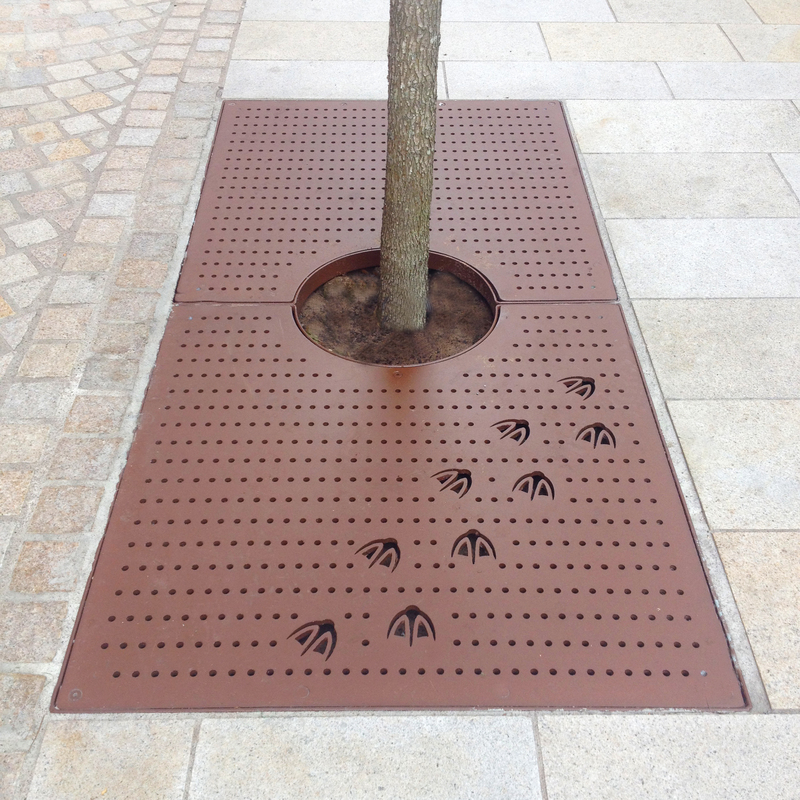 As part of the urban regeneration scheme in Altrincham, the goose feet are symbolic of the town’s Goose Green square. The feet were laser cut at our in-house factory in Darwen, Lancashire. 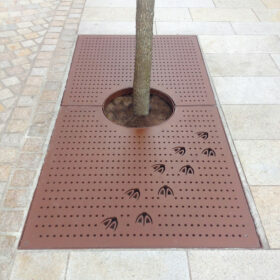 Our bespoke tree grilles are also available in stainless steel, corten steel or powder coated to any RAL colour. Custom logos and shapes can be integrated to match any urban realm regeneration scheme.